Country fans, all the biggest acts are heading out on the road this summer! Do you know who you’re going to see – or is it hard to choose?? Well, for residents of Scranton, Pennsylvania, we’ve got the perfect way to sort that problem for you. 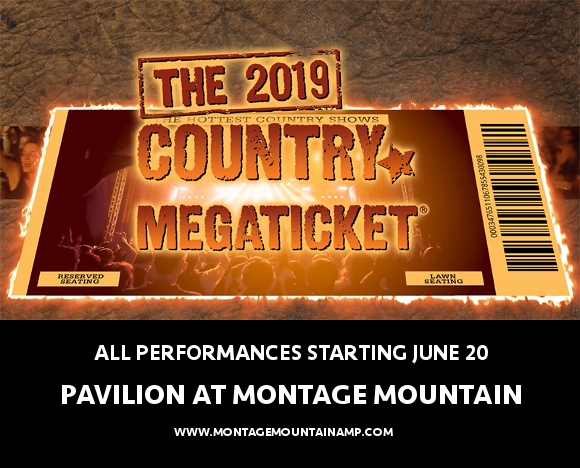 This year, the 2019 Country Megaticket is available at the Pavilion at Montage Mountain! That’s right, it’s your one-stop shop to ALL major country shows at the venue, including Chris Young, Florida Georgia Line, Jason Aldean, Chris Janson, Kane Brown, Jon Pardi and MORE!! It’s all kicking off on Thursday 20th June 2019 – be there!! The Country Megatickets are on sale NOW and expected to go FAST, so don’t waste another moment in getting yours!! No less than 14 of the biggest country artists across 4 shows, at one unbelievable price – summer doesn’t get better than this!! It’s a dream come true for any serious country fan. It’s a steal of a deal!! What are you waiting for?? Grab tickets NOW while you have the chance and get ready to be part of that crowd over and over! !